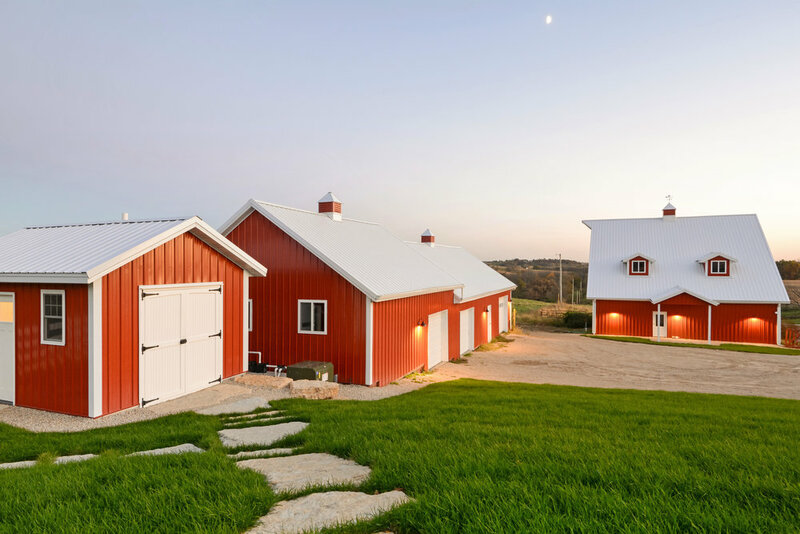 The homeowners had a vision of a true country dream and found it with this beloved country farm. The potential and scenic views in this farmhouse were endless and they knew they had found exactly what they were looking for. 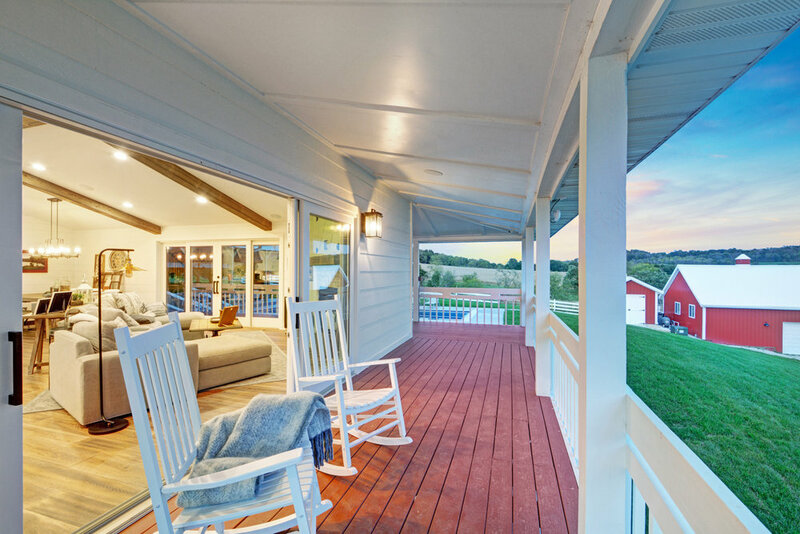 Every inch of this farmhouse was gutted and transformed into a true farmhouse dream. 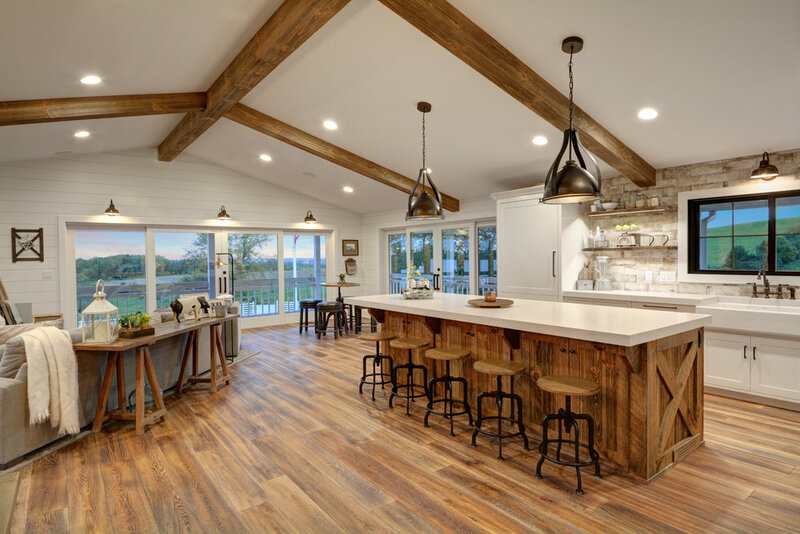 From custom cabinets, to barn doors and rustic beams, and to shiplap throughout, this home has it all. 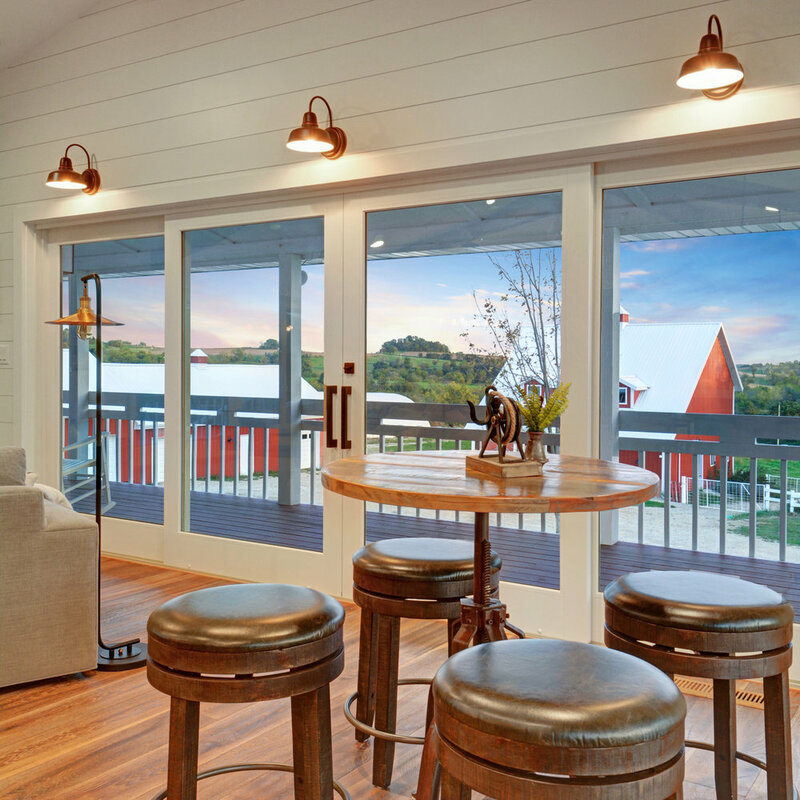 Salvaged barn wood from old exterior barns was used to create unique accent walls throughout. 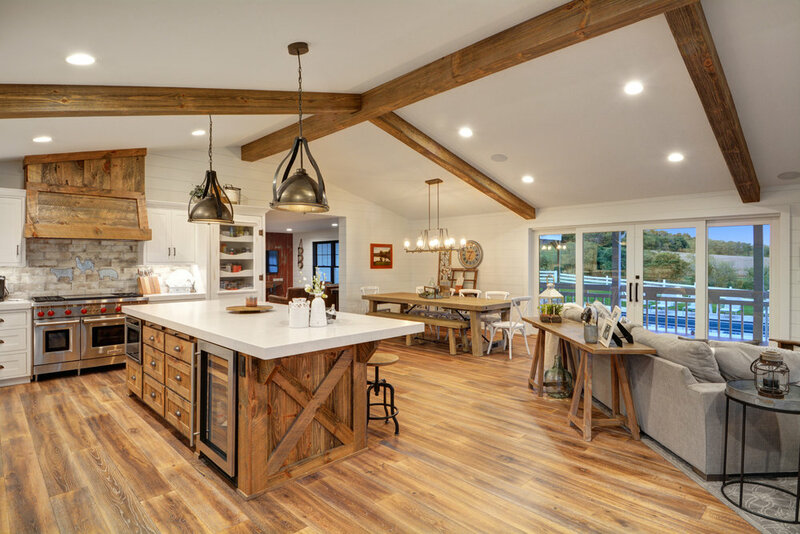 The homeowners love to entertain and with a chef’s dream kitchen, they can do just that. The master bedroom overlooks the newly added outdoor kitchen and in-ground pool area. The outdoor pool oasis is perfect summer entertaining spot with an exceptional living space. 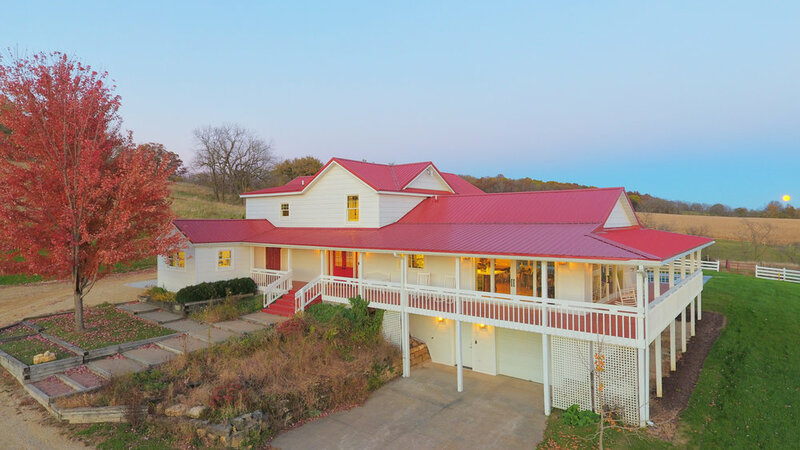 "We hired Galena Hillside Homes to completely gut renovate our newly purchased 100-year-old farmhouse in Elizabeth, Illinois. It was quite an undertaking which Nate took on without hesitation. To say that we had a fantastic experience would be an understatement. Nate and his team were experienced, professional, flexible and mostly TALENTED. Galena Hillside Homes worked hard every single day to complete our project on time. The attention to detail was beyond what we could have expected. Every request we made was met with a “sure, no problem” attitude. As soon as we met Nate we knew we had chosen the right contractor to take our dream and make it a reality. 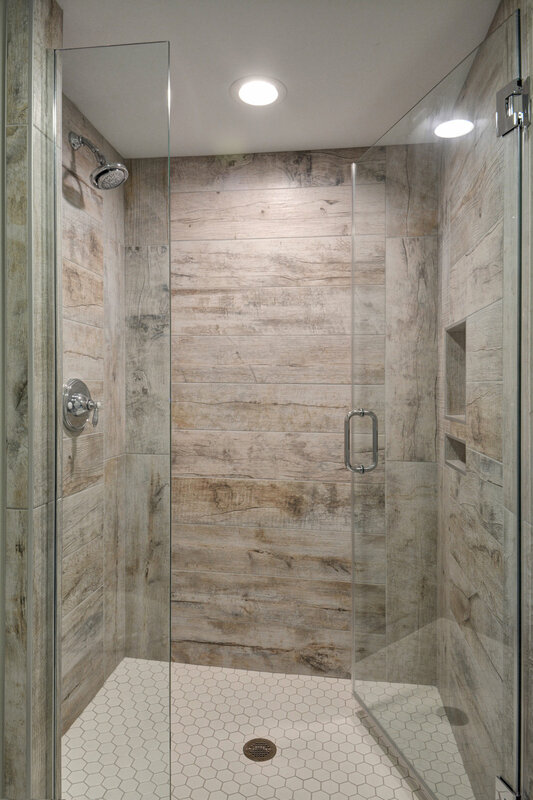 I would recommend Galena Hillside Homes to anyone that may be looking for a trustworthy friend to complete their project because that is exactly what we found in Nate."